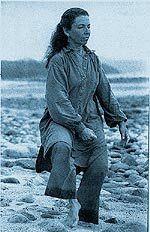 How I Teach T'ai Chi Ch'uan - Judyth O. Weaver, PhD. I feel very fortunate to have had contact with Professor Cheng Man-Ch’ing in the late 1960s and early ’70s. I first went to him to be treated from his vast knowledge of Chinese medicine. I would wait through many hours of T’ai Chi Sword form in his New York Chinatown studio before having my appointment with him. It was all very informative and healing. I also consider myself lucky in having been able to study with Professor’s senior students. It was Maggie Newman who brought me to Professor Cheng. 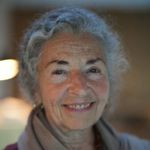 I took classes from her, Ed Young, Lou Kleinsmith, and all the senior students who were teaching for Professor in New York City, as well as from Patrick Watson in California. When I received permission to teach T’ai Chi Ch’uan, it was clear that my studies in sensory awareness; my background in dance and structural awareness of various sorts; and years of meditation were to inform my manner of teaching. My hope is to assist students to energetically feel what they are doing. The T’ai Chi form is not just a form to me, it is a dynamic, energetic process that can be integrated into all aspects of our lives. I am interested in students being able to understand and apply T’ai Chi principles in every aspect of their everyday lives – to interpersonal relationships, how to walk, how to treat oneself, and the full integration of body, mind and spirit. The title of the workshops and retreats I offer is really “T’ai Chi Ch’uan as a Way of Life,” for that is what it is about for me.